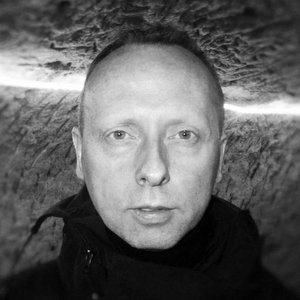 Colin Marshall sits down in London’s Tower Hamlets with composer and artist Robin Rimbaud, better known as Scanner. They discuss the usefulness of a new place’s disorientation; the fun of grasping that new place’s systems and making its connections; other skills in the set gained from a lifetime of travel; the “great change” he has observed living in east London for fourteen years, where he arrived in search of “light and high ceilings”; the value of his work’s taking him to places he doesn’t choose; what he learned long ago when his visiting American friend’s girlfriend reflexively called every difference in England “really stupid”; the ease of complaint and the difficulty of embracing these differences; the importance of pattern in all areas of life; the complex question of how to cross a street in Vietnam; travel as a means of seeing your own home; photography as a means of notetaking; his shelves of diaries, kept every single day since age twelve, and what it says about his overarching skill of discipline; self-documentation’s need of a system to give it meaning, and how his famous early Scanner work gave meaning to other people’s phone calls; the intriguing question of how, exactly, you ended up interested in something, friends with someone, or in a place; whether not liking a piece of culture just means you can’t connect anything else to it; the greater fascination of why others love something you don’t love, and the need to experience it all in order to value what you do love; why we had such strong allegiances to music as teenagers; Nick Drake, B.S. Johnson, and the non-connected creator alone against the world; how he facilitates connections himself by staying available at all times; what he listens to in London, especially the local accents and terms of address like “mate,” “love,” and “boss”; how friends visit London and fail to connect to the west end, whereas he remains excited by the rest of the city; and the joy of walking by the historic site of George Orwell’s arrest. This was written by Colin Marshall. Posted on Sunday, February 23, 2014, at 10:27 am. Filed under London, Notebook on Cities and Culture. Bookmark the permalink. Follow comments here with the RSS feed. Post a comment or leave a trackback.